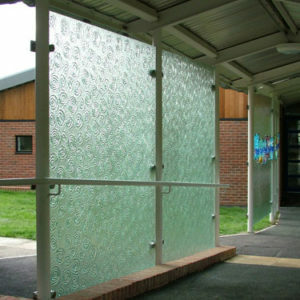 Following the completion of the new Art and Textiles block, architects Macallan Penfold were asked to design further weather protection to the covered walkway linking the main school to the new block. 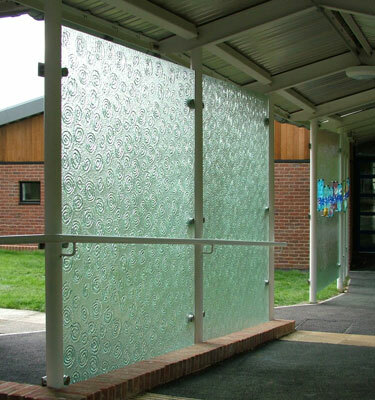 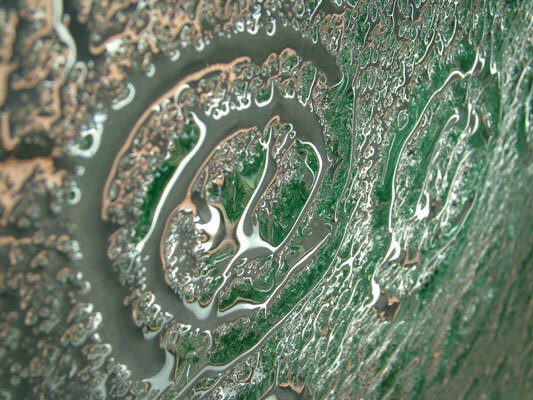 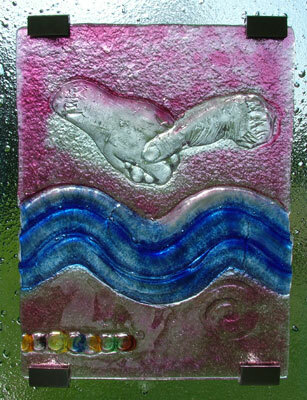 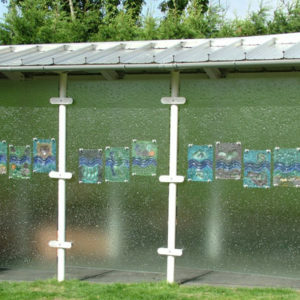 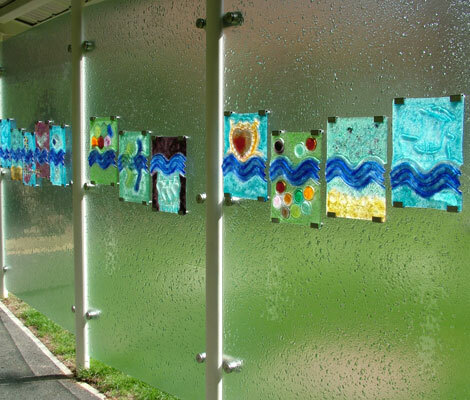 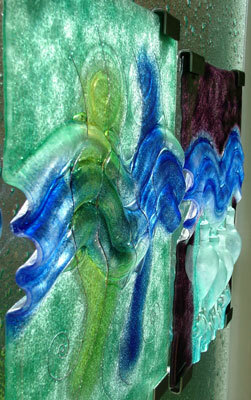 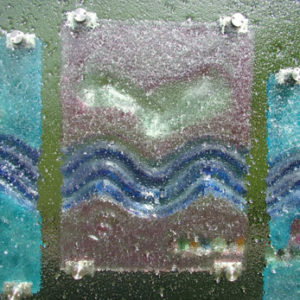 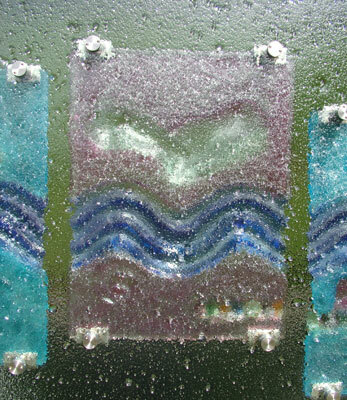 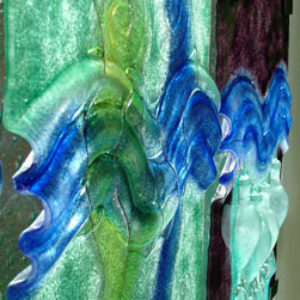 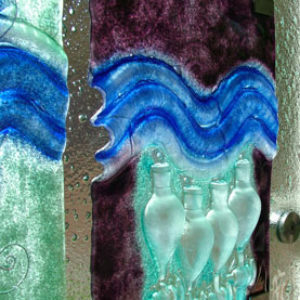 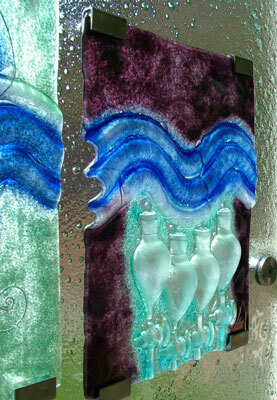 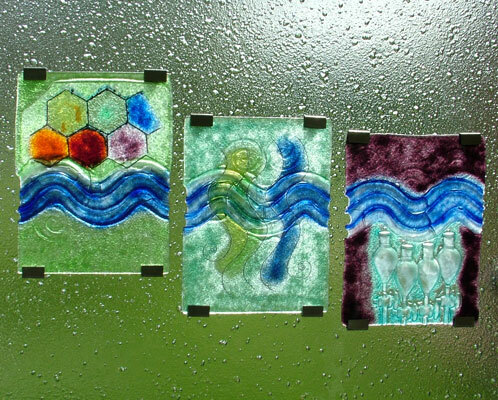 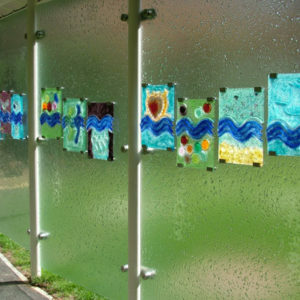 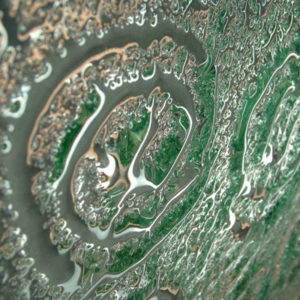 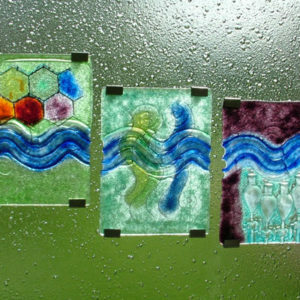 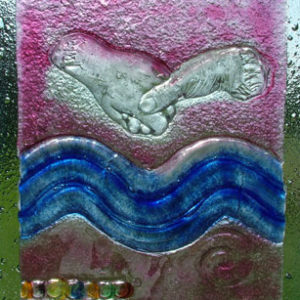 The design brief was to install large panels of kiln formed glass using the existing framework, and to display a glass mural by artist Lorraine Smith. 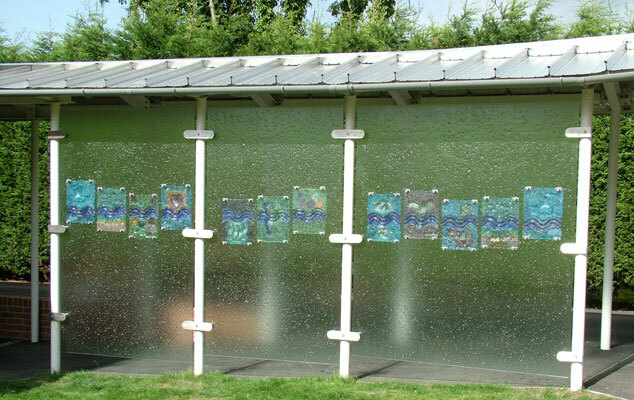 By designing and fabricating bespoke brackets the large panels were installed with the artwork seemingly floating just off the surface.